The right tools make travel more enjoyable. As nicer weather turns thoughts to travel and recreation, even senior family members can join in the fun with confidence. Whether visiting family or being pampered at a resort, travel can be one of the greatest gifts you can give an elderly loved one. Keep it fun and stress-free by planning ahead and stocking up on the right tools. Support stockings use compression to improve circulation and relieve swelling in legs and feet, especially important after sitting for prolonged periods. When driving with someone who’s elderly or disabled, allowing time for frequent stops for walk breaks and stretching makes a trip more enjoyable for all. Elderly skin requires proper cleansing, moisturizing and protection from irritation. When managing incontinence, it’s especially important to use skin care products made for maximum comfort and odor control. Sunscreen is essential at every age. The CarCaddie by Stander mobility products lends a helping hand to seniors getting in and out of vehicles. The portable nylon handle with non-slip grip easily buckles onto a vehicle’s upper door frame. Incontinence products come in a multitude of styles and absorbencies to meet the needs of any traveler. From high-capacity briefs for long trips to premium products that look and feel like regular underwear, incontinence doesn’t have to ruin a trip. 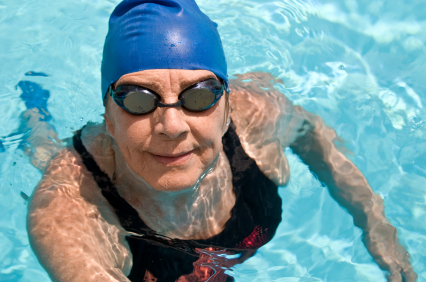 Individuals managing urinary or bowel incontinence at any age can swim with confidence. The SoSecure Swim Brief is a machine-washable garment designed to be worn under a swimsuit and comes in sizes to fit adults, teens and even older children. For seniors managing incontinence, it’s important to monitor fluid intake, plan frequent restroom visits, and plan ahead by stocking up on absorbent undergarments and underpads for beds and seats. Stay right here on The CareGiver Partnership website to for more information on any of these products, samples to try before buying and much more. Or call 1-800-985-1353 for personalized attention by experienced caregivers. Watch this video on how mobility aids increase comfort and safety.